So, can someone not from PA undersand that "average working people of American need to be able to provide for themselves and their families"? I think they are fully capable of understanding that. What has consistently bothered me the most, though, is when this idea of "I want a President like me" begins to become - as it did with Rick Perry when he was still in the race - "Yeah, a President who isn't all that bright, like me, who made C's and D's in college - yeah, that's the kind of President I want, because he'll understand me." This is absolutely deplorable to me. I do not want a President who struggled to pass his classes in college, for any reason. If you want to be the leader of our country, I expect you to be smart, very smart. I don't expect you to know everything, but I expect you to have the critical thinking skills and wherewithal to know how to find the right answers, regardless of which political party is offering them. The leader of our country, who has to deal with extremely complex situations on a daily basis ranging from economics to foreign policy to the health care system, needs to be smart. Now, I know what some of you may be thinking, I'm thinking it myself. Maybe I'm just pushing another version of the "I want a President like me" idea. I'm an academic, so I want a President who is academic too. This may well be part of it, and this may be part (though admittedly only a small part) of why I support President Obama, but at the end of the day I think the office of the presidency is one that requires skills that not everyone possesses. I fully believe one of those skills is intelligence. That's a skill I have too. But, I think the President should also have a lot of skills that I don't such as good people skills, the ability to explain extremely complex ideas in simple terms, and the ability to always be "on." 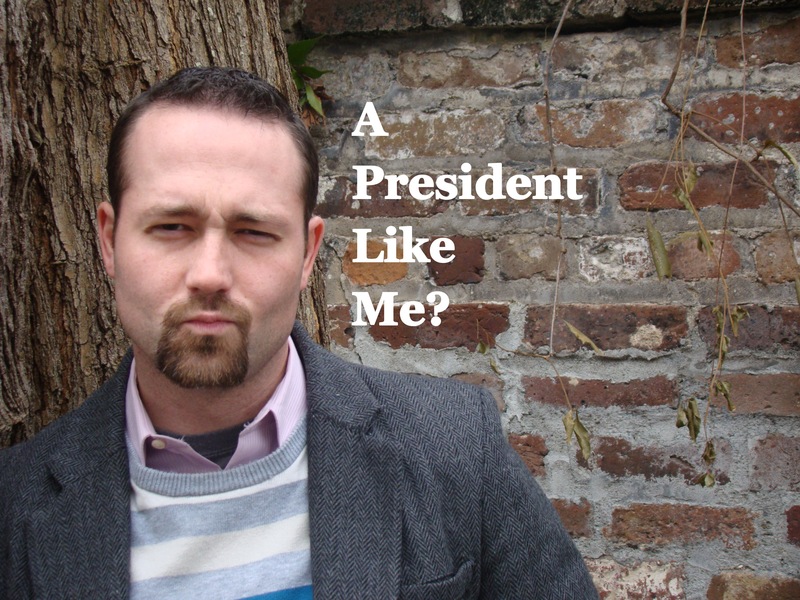 So, the real question is would I really want a President like me? Someone who is book smart, but doesn't do well in crowds, would rather be alone than with others, who has little patience for partisanship and politicking, and who could not care less what other people think about him. When you put it like that, no. I do not want a President like me.